It's more prosumer than professional now, but it still offers a lot to independent creators of all types. 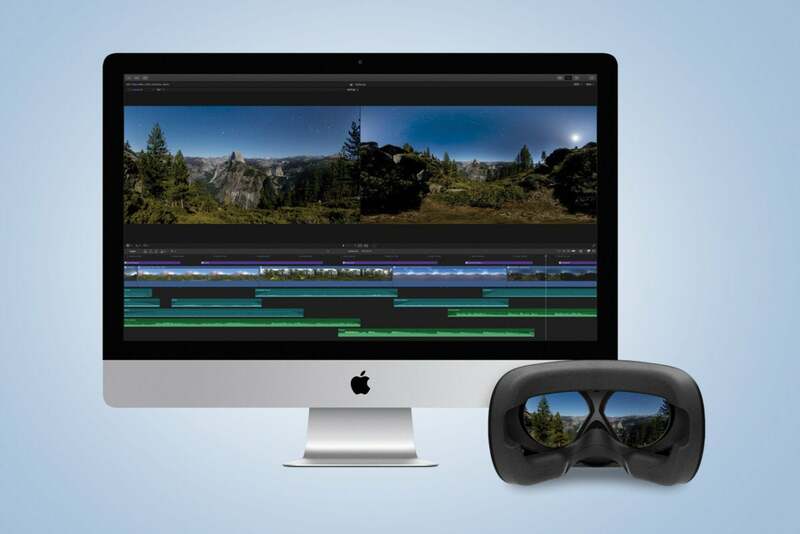 Editor's note, 02/19/18: This review has been corrected to include greater detail on the software's 360-degree VR video support and professional color grading tools. The Mac-exclusive Final Cut Pro X is the very definition of a prosumer video editing program. Descended from a much more expensive professional tool, it attempts to bridge the gap between consumers who want something powerful but easy and affordable, and professionals who can’t bear to lose a single piece of functionality. The result, surprisingly, is an innovative, elegant, and unusual video editing program that serves most people in both categories—as long as they have Macs. Apple offers a 30-day free trial, and the full package costs $299.99 from the Mac App Store. When the first version of Final Cut Pro X came out in 2011, replacing the more robust Final Cut Pro used in professional editing bays around the world, it was not well received by the professional community because many important features, like multi-camera editing, had been lost in the transition. With version 10.4, Apple has greatly expanded the professional color tools available in the application. These include additional uses of the eyedropper tool, a dedicated color tab, and powerful color curves and hue/saturation curves that allow you to make very precise adjustments. Apple also added keyboard shortcuts that make the tools easy to use. 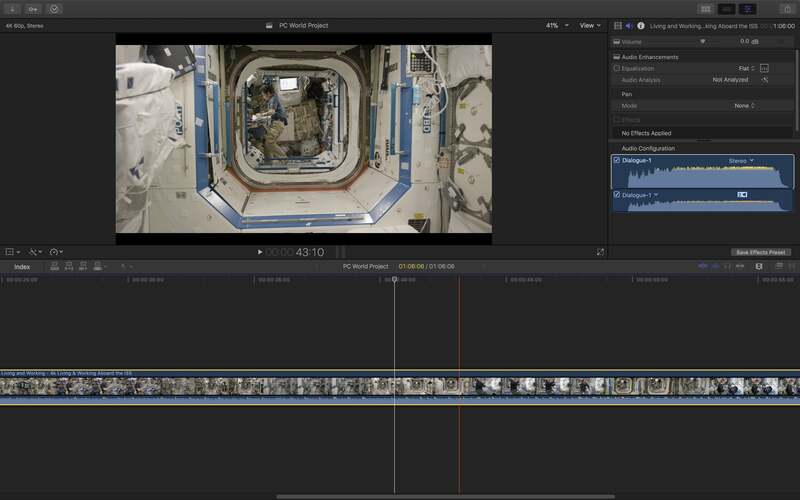 Final Cut Pro X may never be a mainstay in Hollywood again, but it doesn’t necessarily need to be. It offers a lot to independent creators of all types. Apple’s magnetic timeline is different from what you might have used before, but it might grow on you. Final Cut Pro X is not afraid to sacrifice some sacred ideas about video editing workflow. 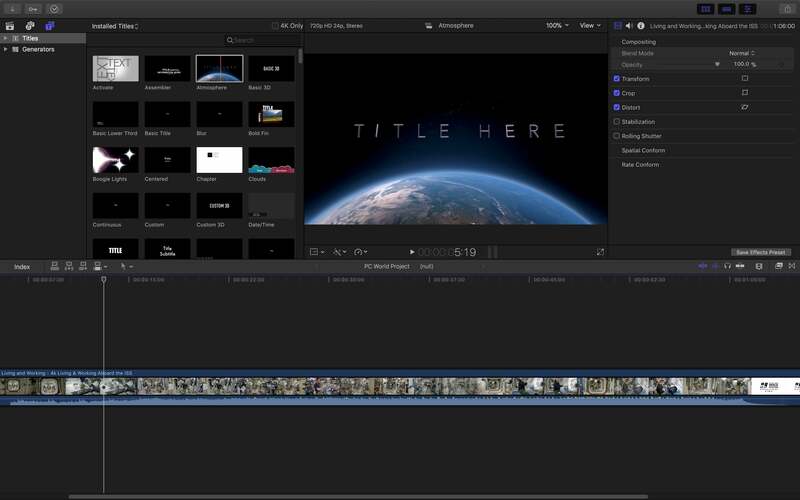 Experienced video editors will be surprised that the timeline is not presented in the way they’re accustomed to, though it shares some core ideas. 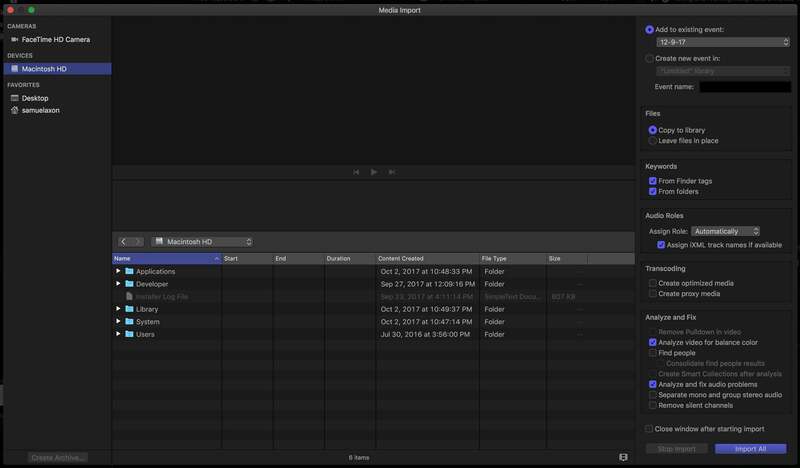 Final Cut Pro X takes a different approach with what it calls a single track, “magnetic timeline,” but it’s just as functional in most cases. Keeping your work organized and efficient is made easier with a feature called “roles.” Each video or audio asset can be assigned to a role—say, “dialogue,” or “titles”—and you can apply changes to those assets as a set. Additionally, the latest version of Final Cut now color-codes those assets in your timeline, making it easy to see the elements of your story at a glance. You can add and remove nearly every part of Final Cut’s interface using keyboard commands or the drop-down menus in the status bar—and you can create custom layouts with exactly the features you want for different situations. That said, you cannot detach specific interfaces into their own windows, or click and drag them freely around the workspace, like you can in most competing software. The provided titles and effects are all well-crafted. Final Cut includes a bunch of effects, titles, and transitions. It doesn’t beat some other software in sheer numbers, but the quality is high across the board, and you can bring in additions from third parties to expand the library. Importing and exporting are easy. The importing tool is particularly strong: You can preview the video and apply color correction and fix audio problems right from the importing interface. You can apply roles to assets right away, too, or have them automatically assigned. By default, the application can export to 720p, 1080p, and 4K in video formats for Apple devices (H.264), to DVD, and to Facebook, YouTube, and Vimeo. 4K is supported for YouTube and Vimeo. Thanks to a recent update, Final Cut now supports the HEVC video format (also called H.265). This is particularly useful for 4K video because it usually results in smaller file sizes for high-quality videos. Apple recently updated macOS High Sierra to support this format, and it’s now the default format for videos taken on iPhones. The application’s importing tool puts a lot of functionality just a click away. The list of supported formats is strong, but supporting some other formats will require sending the video to another Apple program called Compressor, which sells for $49.99 in the Mac App Store. The 360 video editing tools are quite powerful. You can live-preview 360 video on an attached HTC Vive headset (the only headset supported at this time). Apple has done an excellent job with professional-looking titles that appear naturally inside the space of your 360 and 3D videos. You can also share 360 videos directly to Facebook and YouTube, which many other editors can’t do. It's worth noting if you're working with a team that Final Cut Pro X lags behind offerings from Adobe in collaboration features, though it has just enough to be usable. This limitation might cause high-end pros working in teams to shy away, but it likely won’t stop the new target audience of Final Cut Pro X from buying the software. With its one-time price, its stellar performance, easy-but-powerful interface, and assortment of workflow innovations, Final Cut is an excellent option for solo video creators, from YouTubers to event videographers to independent filmmakers. The Mac-exclusive Final Cut Pro X is the very definition of a “prosumer video” editing program—descended from a much more expensive professional tool, it attempts to bridge the gap or hit a sweet spot between consumers who want something powerful but easy and affordable, and professionals who can’t bear to lose a single piece of functionality.